I think some people may have gotten the wrong impression surrounding me and Calvin Harris - it wasn't that I ever hated him, it's just that I never cared about him. I remember when he broke through around the early 2010s and while I could identify plenty of bad producer-driven EDM from that era, Calvin Harris just didn't stand out. The tones and melodic progressions got in your head, but the writing was formless and generic, the production was underwhelming, and his own singing voice... yeah, nobody was going to a Calvin Harris record to hear Calvin Harris, even despite the bizarre amount of success he landed with 'Summer' in 2014. And up until 2017, that all seemed to be true. He had a few songs that were tolerable - I still hold 'Outside' with Ellie Goulding didn't get the push it deserved - but beyond that, he didn't resonate, especially a lot of his work with Rihanna that always felt incredibly underwritten and tired. And then 2017 happened, and the change in sound was measurable. Sure, given how Harris pivoted towards deep house on songs like 'How Deep Is Your Love' he's always shown himself to be a malleable producer, but a shift towards more organic disco, and adopting the splatter paint collaboration style more reminiscent of DJ Khaled... that was measurable, and proved that his new project might actually be interesting, especially considering how well songs like 'Slide', 'Heatstroke', and 'Feels' worked for me. So for the first time... pretty much ever, I was looking forward to covering a Calvin Harris record - so what did we get out of it? So this was a bit of a weird case, half because I felt I had heard nearly half of the record before I reviewing it officially, but mostly because if you're trying to place it in context with Calvin Harris' albums, this record is an interesting pivot. Not completely unheard of - he's tried to utilize similar grooves back on his very early records in the mid-2000s before he broke through - but it does feel like less charted territory for him. And thus while for Calvin Harris fans who liked his mainstream sound in the early and mid-2000s, it will feel like a departure... whereas for me, I'd probably say it's easily one of his most listenable and likable projects of his career, and when it comes to mainstream pop, a pretty damn solid and danceable album. And this has everything to do with groove, something that was absent from so much of his earlier records. Sure, the percussion remains a little more programmed and stiff than I'd personally prefer, but with live bass guitar, real choppy guitar grooves, and gleaming synths, there's some actual bounce and flow to these songs, a shot of nu-disco and funk that's might feel a tad more damp and tinny than I'd normally love, but still remarkably solid. And with a solid instrumental foundation, Harris does pull together melodic grooves and some of his best ever hooks - and instead of the blocky EDM synths, he's got something with texture and character. I've already talked about the shimmering minor chords and hollow gloss around the guitars and synth that make 'Slide' a natural fit for Frank Ocean on Billboard BREAKDOWN, or the bright jingling sparkle of 'Heatstroke' with more textured percussion, or even how despite the percussion feeling a tad stiff 'Rollin' still has a piano line that anchors a solid bass groove reminiscent of g-funk that'll show up later on 'Holiday' opposite Snoop Dogg, but then you get the even tighter gummy grooves of 'Cash Out' that Schoolboy Q handles damn near perfectly, and that's before D.R.A.M. slips it up for a more soulful swell that shifts the song amazingly well - why is this guy not more famous! Of course, it doesn't always work, and while that can be a factor of instrumental tones - 'Prayers Up' feels blockier and sharper than it should courtesy of A-Trak's production to match well with Travis Scott's autotune, and as much the melody is catchy, especially off of the beat switch, that guitar on 'Feels' feels really processed and tinny to me, which is odd considering how much funk it picked up on 'Skrt On Me' opposite the pianos and Nicki Minaj, or the even more subdued tropical vibe it gets on 'Hard To Love', but it only further highlights the larger issue: the guest stars. To put it bluntly, these sorts of disco grooves do require a different sort of energy and spark to put them over the top, and the charisma and flow of the singer becomes a lot more important, or they're just left feeling stiff or lost. So for example, while I'm not really crazy about how Frank Ocean doesn't quite bring the same energy as he could on 'Slide', Migos more than compensates and it does fit in his wheelhouse instrumentally. Similar case for Snoop Dogg on 'Holiday' with John Legend who's game for it, or especially for D.R.A.M. and Schoolboy Q making up for PARTYNEXTDOOR on 'Cash Out'. By far the best example is the easy chemistry between Young Thug, Pharrell, and Ariana Grande on 'Heatstroke', a song that really should have been pushed as a single, it's grown on me a ton. But on the flipside, then you have Future seemingly riding an entirely different groove on 'Rollin' that doesn't mesh nearly as well as it should with Khalid, or Katy Perry giving an incredibly inert performance on 'Feels', or Jesse Reyez's interesting but clearly unrefined vocals on 'Hard To Love' - really a drab note to end this record on, if I'm being honest. But then again, go a song earlier with the 80s R&B vibes of 'Faking It', Kehlani handles the sandy grooves and strings a fair bit more than Lil Yachty's general clumsiness and his rambling about pizza - seriously. And then splitting the difference you have Nicki Minaj on 'Skrt On Me'... and look, her verse is fine and she at least gets this sort of groove and hook, but her singing completely with autotune is a lane where she's nowhere near as interesting or colorful as her rapping. And that's the other thing: when you consider the lyrics on this record, it's pretty damn flimsy. And to some extent I can excuse a lot of it: the groove-driven party vibes of 'Cash Out' or the gentle hookup of 'Heatstroke' - even if Young Thug's goofiness is right up to the line - I'm not expecting something profound here, and then you have artists like Frank Ocean who hit that territory without even trying like on 'Slide' in both subverting and embracing the party. Hell, even though Future never impresses me with his bars, his self-destructive bitterness at least fits 'Rollin'... but I will say that when it comes to the cohesion of the album, it does lead to some awkward moments in constantly second-guessing it. Travis Scott's bars might be simple, but he gets the celebratory vibe on 'Prayers Up', and Snoop Dogg not caring works on 'Holiday', as does Nicki's teasing on 'Skrt On Me'. But maybe between how flat Katy Perry is on 'Feels', or how 'Faking It' is supposed to be reflecting a real connection that neither wants to admit but still feels oddly sour about it all, or how the album ends with a song reflecting how the girl would rather be 'hard to love rather than easy to leave', and I can't help but feel it doesn't have the same breeziness that gave the rest of this record its verve or style - not a bad track, but it just doesn't fit all that well and definitely could have been placed somewhere different in the track listing, which doesn't nearly have the flow that it needs to feel like more than a collection of singles. But that said, as a collection of singles it's got some really solid cuts. 'Slide', 'Skrt On Me', 'Holiday', 'Rollin' if you can ignore Future, especially 'Cash Out' and 'Heatstroke', Calvin Harris put together some damn good cuts here that are certainly more distinctive and memorable than most of his EDM work, and with a few singers who embraced the vibe a little more effectively, this really could have been something. On top of a brisk runtime that means this record really doesn't get bogged down - except maybe a little at the end - I think I'm going to give this a light 7/10 and a recommendation. 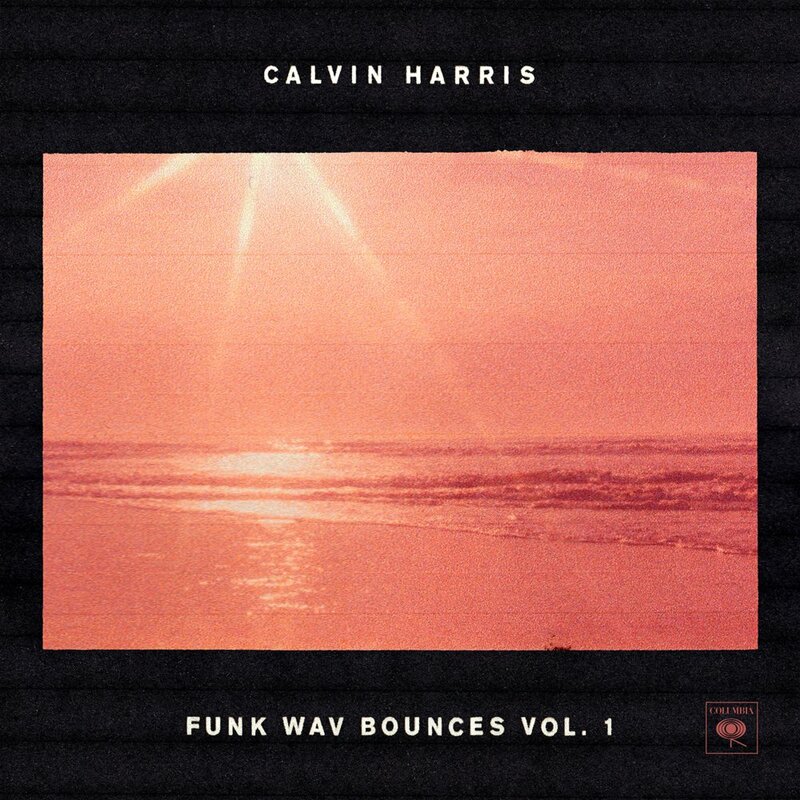 And hey, Calvin Harris said this is only volume one - I'd be curious to see where any future sequels will take us, because this has potential, so check it out.